With everything from beer-braised duck tacos and calamari sliders to a fresh cup of coffee, The Fillmore in Manistee is no ordinary coffee shop. 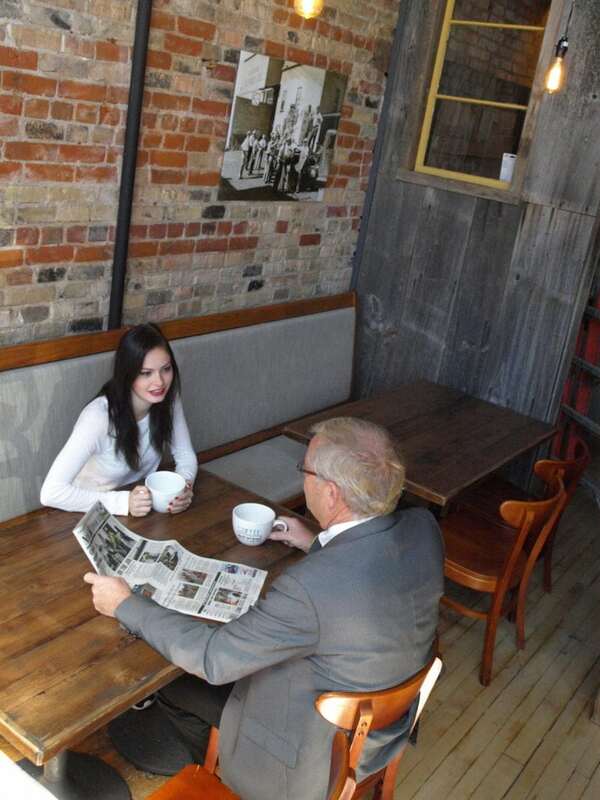 In fact, the new business is a coffee shop, wine bar and cafe all rolled into one. Owner Nicole Knapp calls The Fillmore a “coffee-rant,” a place with both great coffee and a fresh, Michigan focus on food. The cafe serves Higher Grounds coffee from Traverse City, and all of the milk comes from nearby Cream Cup Dairy. Other local suppliers include WeeBee Jammin’, Oleson’s, Cherry Capital Foods and Northwoods Soda. Kitchen manager and chef Jake Sloenecki refers to the Northern Michigan restaurant’s menu as a living menu, one that will change with Michigan’s growing seasons with budget-friendly and kid’s options, too. Nicole, a Northern Michigan native, grew up in Leelanau County and moved to Manistee for more job opportunities, the beautiful Lake Michigan beaches and the architecture of River Street and downtown Manistee. “I love the old buildings,” she says. In February, Nicole bought one of those old buildings sitting vacant on River Street. Constructed in 1890, it was originally a tailor shop. Four months of renovations followed, and The Fillmore opened its doors on Monday, June 13. 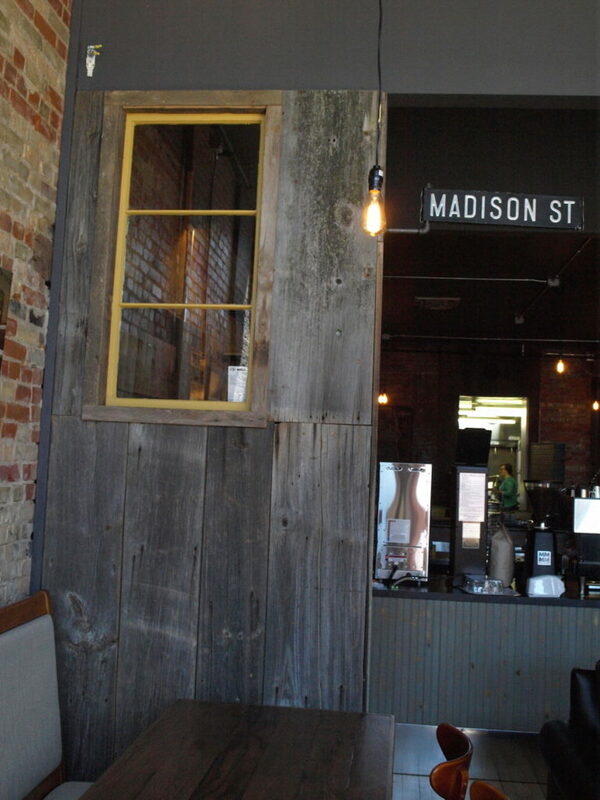 Keeping with the style of the original building, the exposed brick walls, wood floors and black and white photos showcase the history of Manistee while a mix of tables and over-sized chairs welcome visitors to stay and enjoy a meal or drink. The Fillmore is located at 318 River Street in Manistee.